Chad Smalley is a true Floridian as he has lived and grown up here in Indian River County for the past 38 years. He is married to his wife April of 19 years and has two amazing kids, Jacob 21, and Raelin 14. 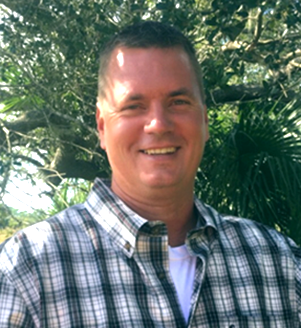 Chad graduated from Vero Beach High School in 1989 and went to work for Indian River County Utilities. He also started Smalleys Landscape and has been serving Indian River County for many years. The year 2004 brought a major career change when he received his real estate license. Growing up Florida has fueled his passion for the outdoors. His outdoor activities include air boating, fishing and hunting. He served as president of Indian River Airboat Association, which is an association where he is a club member. Chad has been a strong advocate with the Florida youth hunt program, where he gets to teach the local youths firearm safety as well as great hunting ethics and practices. Chad considers himself a volunteer, meaning if “I believe I can help out for the good, I will. Sometimes, a little too much… just ask my wife!” Chad enjoys helping his clients find that perfect piece of the pie here in Indian River County!